Not included by default but AWS offers lots of tools to mitigate DDOS attacks for a fee. Available but charged at the EBS pricing rate. Here again, the charts are the most detailed and varied of all providers. Possible but only on optional Elastic IP addresses. Those addresses are free while attached to an instance. Allows creation of "security groups" with inbound and outbound rules. A security group can be assigned to an instance. Most full featured UI of all providers. Many steps to go through to create a VPS. Alarms can be setup for free. Object $0.020 Standard AWS S3 also offers infrequent access and Glacier object storage for lower prices. Block $0.100 General purpose SSD AWS also offer cold HDD for $0.025/GB/month. 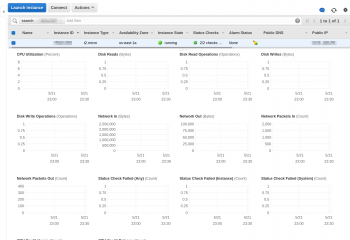 The Screener shows all Amazon EC2 plans side by side with their grades in 5 categories. 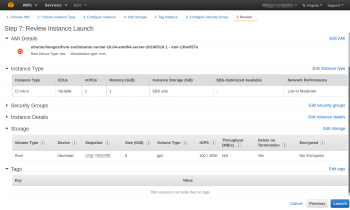 We conducted 5 different types of tests for Amazon EC2 - t2-small. Review the results and compare this plan to its competitors. This plan was tested 5 times at vpsbenchmarks.com. The table below shows all trials run on the t2-small plan and the web response times for every one of those. We conducted 5 different types of tests for Amazon EC2 - t2-micro. Review the results and compare this plan to its competitors. This plan was tested 8 times at vpsbenchmarks.com. The table below shows all trials run on the t2-micro plan and the web response times for every one of those. We conducted 5 different types of tests for Amazon EC2 - t2-medium. Review the results and compare this plan to its competitors. This plan was tested 3 times at vpsbenchmarks.com. The table below shows all trials run on the t2-medium plan and the web response times for every one of those. We conducted 5 different types of tests for Amazon EC2 - t3-medium. Review the results and compare this plan to its competitors. This plan was tested 1 times at vpsbenchmarks.com. The table below shows all trials run on the t3-medium plan and the web response times for every one of those. 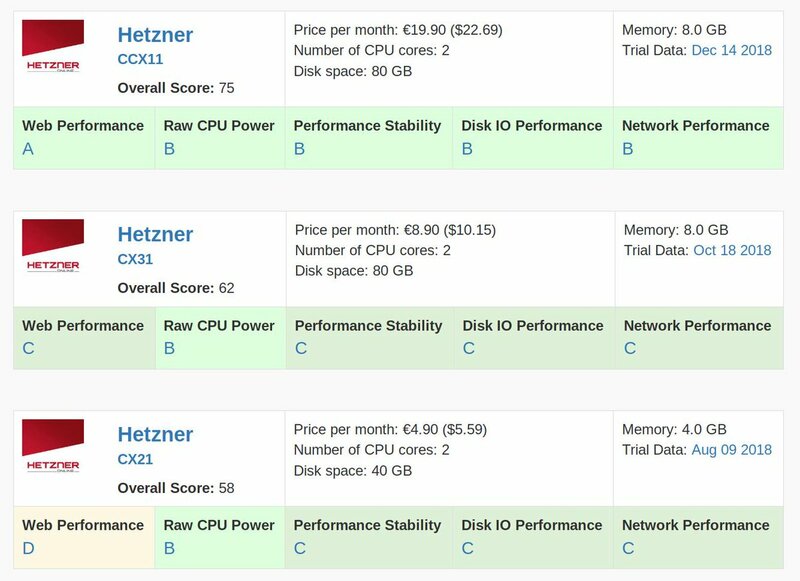 We conducted 5 different types of tests for Amazon EC2 - m5.large. Review the results and compare this plan to its competitors. This plan was tested 1 times at vpsbenchmarks.com. The table below shows all trials run on the m5.large plan and the web response times for every one of those. 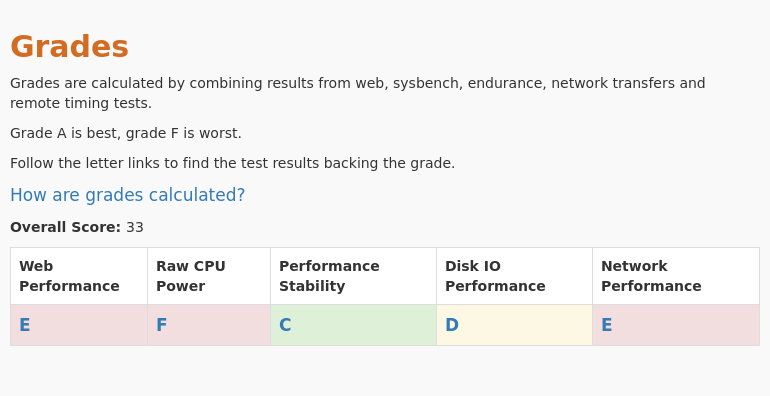 We conducted 2 different types of tests for Amazon EC2 - a1.medium. Review the results and compare this plan to its competitors. This plan went through "light" testing 1 times at vpsbenchmarks.com. The table below shows all light trials run on the a1.medium plan. 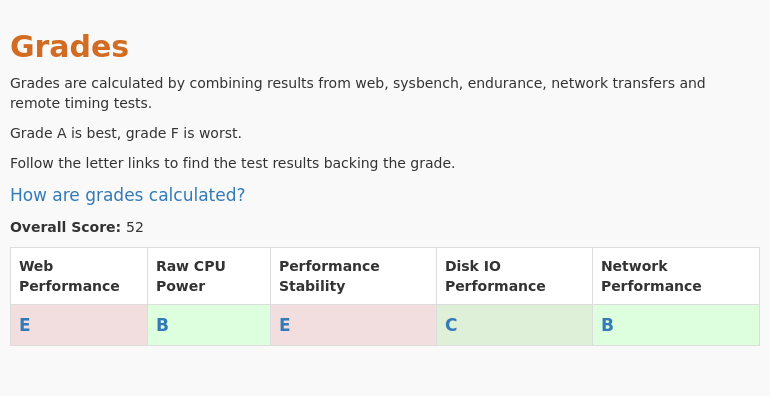 We conducted 5 different types of tests for Amazon EC2 - t3.small. Review the results and compare this plan to its competitors. This plan was tested 1 times at vpsbenchmarks.com. The table below shows all trials run on the t3.small plan and the web response times for every one of those. 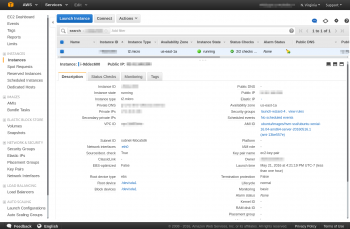 We conducted 5 different types of tests for Amazon EC2 - m5a.large. Review the results and compare this plan to its competitors. This plan was tested 1 times at vpsbenchmarks.com. The table below shows all trials run on the m5a.large plan and the web response times for every one of those.